I enjoyed London Boulevard, warts, clichés and all, and because of the casting and some nice camera work, I’d give this a slight recommendation, though it might be wise for a rental. The Blu-ray itself comes with solid video and audio transfers but the special features are much to be desired. When an award-winning screenwriter makes their directorial debut, it often comes with mixed results. The one that immediately comes to mind is Stephen Gaghan who, after winning the Oscar for Best Adapted Screenplay for Traffic, made his debut with the psychological thriller, Abandon. 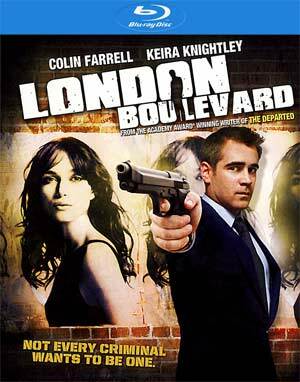 Now it’s William Monahan who took the Oscar for Best Adapted Screenplay for The Departed with this British gangster drama, London Boulevard, a film that features good performances yet includes every cliché in the genre. 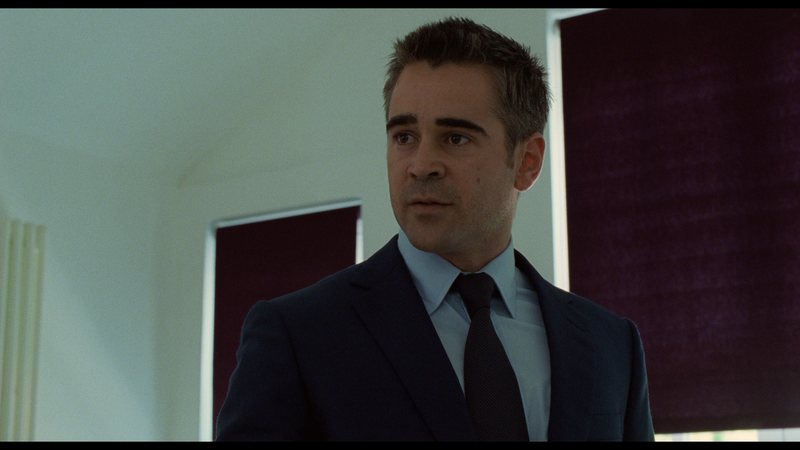 The story centers on ex-con Mitchel (COLIN FARRELL), released from prison for grievous bodily harm, determined to go on the straight and narrow. The first face he sees on the outside is “collector” Billy Norton (BEN CHAPLIN) who sets Mitchel up at a flat he took from a man who owed money. Still, he resists going back but he holds a great deal of respect in the community. At a party, we are introduced to Mitchel’s promiscuous and royally messed up sister, Briony (ANNA FRIEL). 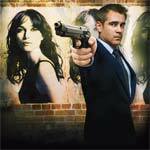 Given he can’t really go to crime for income (and wanting to distance himself from the criminal element), Mitchel receives a job opportunity through a mutual friend to serve as an enforcer/bodyguard for a reclusive actress named Charlotte (KEIRA KNIGHTLEY) as her home is constantly surrounded by paparazzi due to her risqué roles she had performed in the past; not helping matters, her husband is constantly out of the country causing trouble. Of course, there’s a certain spark between the two. 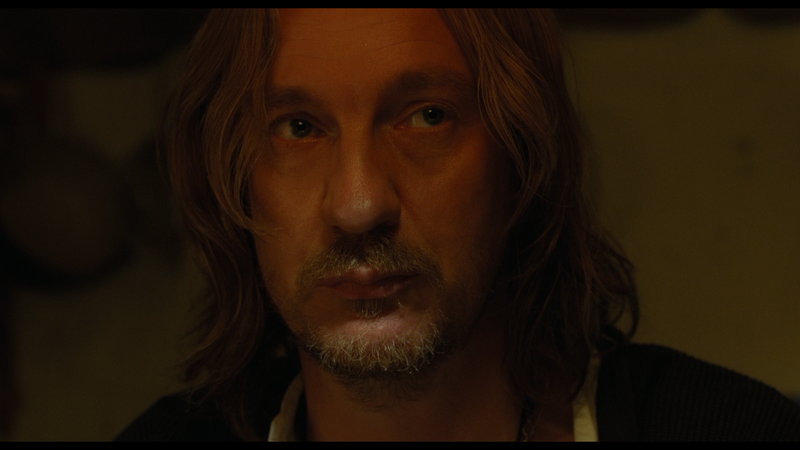 He doesn’t exactly take the job and instead takes the opportunity to move into the guest quarters paying Charlotte’s hippie ex-thespian business manager, Jordan (DAVID THEWLIS), rent for the space. Mitchel tries to avoid getting into trouble but as Michael Corleone in The Godfather Part III can attest, just when you think you’re out, they pull you back in… In this case, it’s major and intimidating mob boss Gant (RAY WINSTONE) who wants Mitchel to work for his gang as he sees potential in the young man. Mitchel eventually flatly refused yet Gant persists to the point where Mitchel must confront his gangster side he’s so kept hard to contain. Making matters harder is the fact one of his friends, homeless man named, is murdered. There’s some irony going on with this storyline which I’ll leave for viewers to take note of. 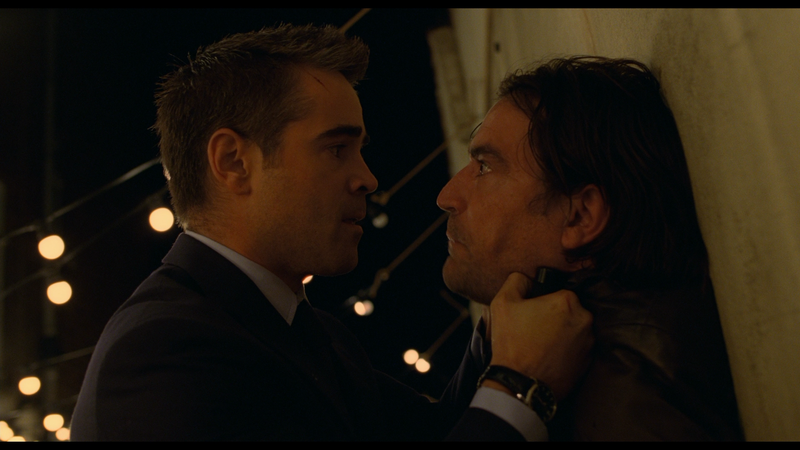 Despite the clichés (gangster trying to go straight), I still found London Boulevard to be an interesting and entertaining crime drama thanks to the charismatic, sometimes understated performance of Colin Farrell, his best in a while. His performance might not stand out versus others in 2011, yet he keeps the movie going along with the audience’s attention because the story tends to go off on tangents (again, not necessary bad). I also have to give credit to Ray Winstone who by this point is typecast in similar roles yet still manages to bring weight to any scene he’s in. 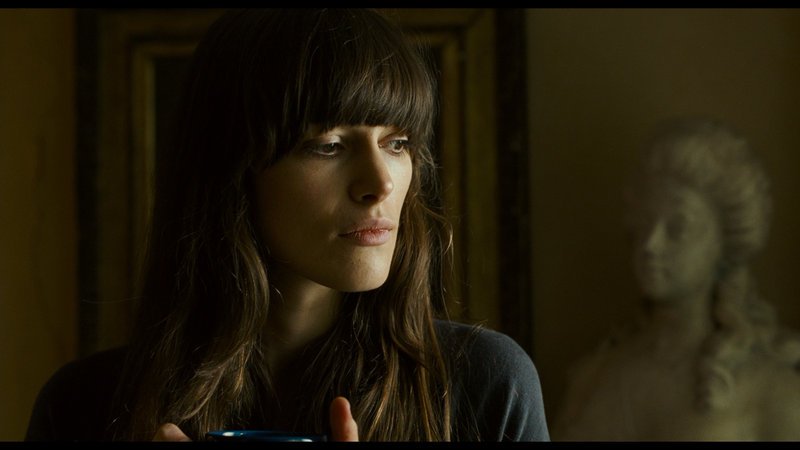 Keira Knightley in her limited role gives off a vulnerability that makes you believe a hardnosed guy like Mitchel would be attracted to (and vice versa as she tries to find a man who can protect her). But I think the award for best performance would have to go to David Thewlis in the oft thankless role as the darkly quirky comic relief. In every scene of his, he’s instantly enigmatic but delightfully funny. With regards to the direction, William Monahan certainly shows himself to be capable director and he keeps the tension and the story’s development at a brisk pace. I did think, however, on the screenwriting level, outside of a couple of the characters, I didn’t see much that made this film stand out from the numerous others. This isn’t to say that London Boulevard isn’t worth seeing, because it is, but at the same time it’s not exactly memorable. Even somebody like Keira Knightley, who unfortunately only has 2-3 key scenes, seems underutilized along with the vastly underrated Eddie Marsan who only has a couple scenes. On the whole, London Boulevard could’ve and maybe should’ve been better but even so, the cast allows the audience to ignore the script’s shortcomings and enjoy the performances. In no way is it a perfect film but might be worth checking out on a cool Saturday afternoon. 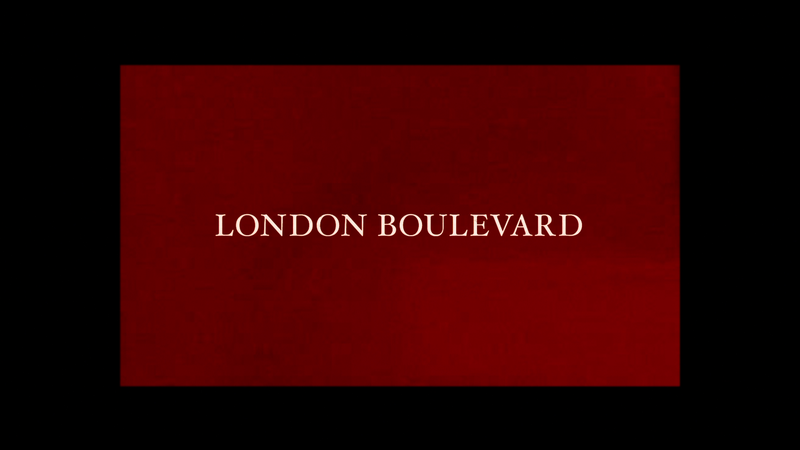 The Making of London Boulevard (15:33; HD) is a simple behind-the-scenes featurette with the usual EPK-like interviews as the cast (Farrell, Knightley, Chaplin, Thewlis, Winstone) and crew (Monahan, producer Graham King, etc.) chat about the story and characters. It’s not very a deep or informative featurette but still an OK I suppose. The 1080p high-def transfer (AVC codec) looks good on Blu-ray. Although I can’t say it’s an amazing looking transfer as this isn’t the kind of movie that exactly pops off the screen, still has relatively good detail levels with sharp black levels as well. The color array also looks well balanced never going overboard with the contrast. The amount of noise and grain is minimal yet still enough to add to the film-like appearance. The only track available on the disc is the standard 5.1 DTS-HD Master Audio track which offers up good dialogue levels mainly making use of the front channel with the front and rear speakers used for ambient noises and a decent soundtrack/score. While it’s not an incredible sounding HD track since it’s not exactly wide ranging, but certainly good enough. Overall, I enjoyed London Boulevard, warts, clichés and all, and because of the casting and some nice camera work, I’d give this a slight recommendation, though it might be wise for a rental. The Blu-ray itself comes with solid video and audio transfers but the special features are much to be desired.